As medical practitioners look for cures for cancer, Alzheimer’s Disease and other potentially fatal illnesses, technology is playing a more integral role in facilitating the search. Technology is, in fact, driving improvements in health care at a rapid pace. One area in which health IT is having a real impact is in patient care, which has led to safer and more reliable clinical applications. While the stethoscope still hangs around the doctor’s neck, part of the medical toolkit is now a hand-held computer that records real time patient data and shares it instantly within an updated medical history. Not only is this a breakthrough in patient care, it also benefits researchers looking for trends and patterns that may help them combat the aforementioned diseases. The World Health Organisation has been able to classify illnesses, their causes and symptoms. Known as ICD-10, this standard diagnostic classification is used on health information purposes in public health, primary, secondary and tertiary care settings. There are several ways technology is having an impact, drones are being used to routinely deliver laboratory specimens for testing and robots are entertaining children. A leading player in wireless health is Australian technology innovator ResApp Health Limited (ASX:RAP), an Australian based digital health company developing smartphone applications for the diagnosis and management of respiratory disease. As an early stage ASX-listed tech company, any investment decision regarding this stock should be approached with caution and professional financial advice sought. ResApp’s smartphone app is based on machine learning algorithms – initially developed by The University of Queensland with funding from the Bill and Melinda Gates Foundation – that use sound alone to diagnose and measure the severity of respiratory conditions without the need for additional hardware. Over the last five years the research team, led by Associate Professor Udantha Abeyratne at The University of Queensland, has pioneered algorithms that accurately characterise the state of patients’ respiratory tracts. The team has created a powerful platform for respiratory disease diagnosis and management which only requires the sound of the patient’s cough or breathing and does not require physical contact. With the high quality microphones in today’s smartphones the platform can be delivered without the need for additional hardware. ResApp has adult and paediatric clinical studies underway with preliminary results demonstrating accurate diagnosis of pneumonia, asthma/viral wheeze, bronchiolitis, croup and upper respiratory tract infections in children as well as chronic obstructive pulmonary disease, asthma and pneumonia in adults. For its work in this field ResApp Health was recently awarded ‘Best Tech IPO/Venture Capital Raising’ at the 2016 Talent Unleashed Awards Global Grand Finals. 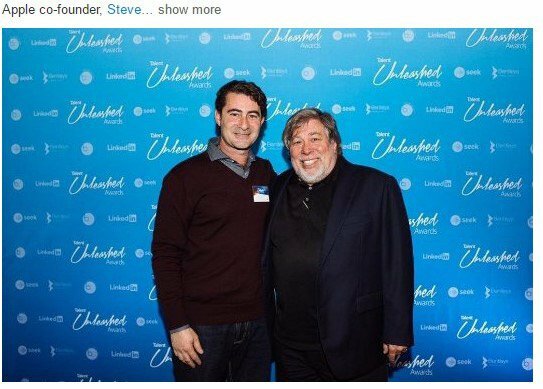 The awards were judged by powerbrokers in global innovation including Apple co-founder, Steve Wozniak (pictured below with Mr Abeyrathe with whom ResApp will be able to spend one-on-one time) and Virgin Group founder, Sir Richard Branson. The Awards recognise disruptive entrepreneurs who utilise innovative technology solutions to truly make an impact in their field. It is an important industry to be in at this time and certainly one where recognition could have a major impact on a company’s ability to profitably bring its technology to market. Another Australian company that fits the bill in looking to disrupt the wireless health market is 1st Available, an online healthcare search and appointment booking service. For healthcare professionals the 1stAvailable app is designed to improve practice efficiency and profitability by freeing up front desk staff from time consuming phone appointments, improving customer service and helping to fill open and costly last-minute cancellations. Essentially, its job is to alleviate and create capacity in an overextended healthcare system. A look at FY2016 results, indicate the uptake of 1stAvailable’s healthcare solution: revenues increased in the year from $300,000 to $2 million, driven by new sales and the acquisition of GOBookings, Clinic Connects and DocAppointments. With a number of commercial deals signed during the year the company has been able to move into the dental and optical markets, adding over 60 optical stores as clients. Strong demand for the service saw the company exceed 4 million appointments booked in early June, growing by one million appointments in just nine months. It is fast growth for 1stAvailable, but this is still an early stage tech play and any investment decision made with regard to this stock should be done with the advice of a professional financial advisor. To further integrate itself into the wireless health market, 1stAvailable has also launched Patient ClipBoard Apps and Self-Check-in Apps. The wireless health industry is a growing industry with several market opportunities. A report by Markets and Markets estimates the Wireless Health market will reach US$110.12 billion by 2020 from US$39.03 billion in 2015, at a CAGR of 23.1%. Markets for ResApp’s technology include telehealth use through partnerships with telehealth service providers, emergency department and regular clinic use by healthcare providers, at-home use by consumers and working with global aid and humanitarian organisations to deliver tools for the developing world. 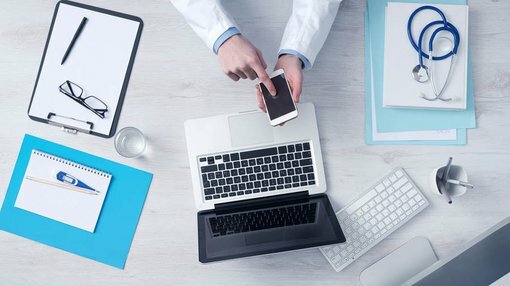 There is now a relevant need for streamlined and real time based communication between the patient and the doctor and the rise and uptake in wireless health apps is set to drastically change the healthcare market.